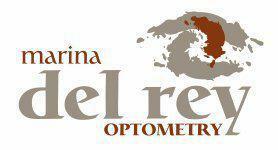 Marina Del Rey Optometry always appreciates feedback from our valued patients. To date, we’re thrilled to have collected 3 reviews with an average rating of 5 out of 5 stars. Please read what others are saying about Marina Del Rey Optometry below, and as always, we would love to collect your feedback. Great service and very clean. Very informative staff. I will return and highly recommend! I needed a new doctor since I moved away from college. I decided on Marina del Rey optometry since they were close by and had the earliest appointment. I got Dr Kobayashi. I loved her! She's a great and caring doctor. She's very thorough with her patients with both contact lense fitting and regular eye check ups. Oscar helped me pick out glasses and was also very thorough and spent extended amounts of time picking out the glasses and getting the correct lenses for my eye needs. Will be picking up glasses soon and I'm so excited to come again next year! The staff was awesome and very friendly. The doctor took time to explain everything. This happened every visit. Keep up the good work. I love this place.